So you’ve started shipping your own freight? 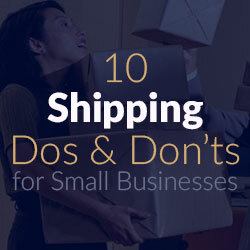 We work with shippers both giant and small every day, and here’s what we’ve learned that works and what doesn’t. Establish a reliable carrier base. How do you do this? Handle all of your claims efficiently, and get your drivers paid correctly and on time. Providing excellent service to your employees, carriers, drivers, and contractors is just as important as customer service. There’s a driver shortage, so finding good drivers and ensuring they want to work with you again is key. Establish regular shipping lanes. As your number of shipments increases, monitor where your freight is going and learn how you minimize overlapping routes. You want minimize the amount of empty space in a trailer and get it to stops A, B, C, and so on, on the most efficient lane possible. Learning a regular shipping lane will also allow you to: predict common delays along that route, predict delivery, loading, and unloading times with familiar staff, increase efficiency, and decrease costs. Provide excellent customer service. Your customers, just like your carriers, can and will find other companies to work with. It’s easy to get frustrated when a customer calls and emails with a common problem, but the problem may not be as common to them, that’s probably why they’re calling. They don’t know what to do, and you do. If recurring issues arise, then it may be time to step back and learn what can be done to prevent the issue from happening in the first place. Referrals are one of the best sales tools: you have a happy customer selling your product/service for you to someone they know. The work that you put into making one customer happy will pay for itself later. Be proactive about transportation issues. Run drills for common delays like weather, traffic, lack of inventory, lack of staff, and accidents, and make a plan for handling these situations. Let your customer know ahead of missed appointments or delays. You want to make the situation as easy as possible for them, so give them as much notice as possible. Don’t forget to consider rush hour traffic on routes that go through or around big cities. Prepare for exceptions. What do you do if one of of your regular carriers can’t run the route for a week? What if there’s a snowstorm that cuts off a heavy shipping lane? What if your dock staff is out for the day? Preparing for the worst situations will lessen the blow when they inevitably arise. Not only will you have a better chance of saving money, you’ll have a better chance of saving that customer. Set Up a freight tracking system. If you’re a small shipper, you won’t have the resources to build one yourself, but the newest and best freight tracking product on the market, FourKites, is also the cheapest. Check them out. You will have full visibility over your supply chain. Your customer service team will be able to answer questions like: Where is this truck? When will this load arrive? What delays do we need to plan for? Some big shipping companies have entire departments dedicated to making check calls: calling the broker, carrier, or driver to find out where the load is and when it will arrive. FourKites eliminates the need for check calls and allows you to reallocate those resources to other areas of your business. Do you and your customer service team get bogged down with calls? Imagine being able to give them access to the real-time tracking information and the ETA of all of their shipments. You’re always looking for ROI and freight tracking has it. Shippers are spending millions of dollars each reach on: drivers waiting at the dock, check call teams, and unplanned staff hours for delays and emergencies. Implementing a supply chain visibility solution will prove to have a large return on your investment. Don’t overpay for tracking. There are some companies that are still charging $5 per load to track your freight, and they are using outdated technology at that. There are better solutions. I’m confident that FourKites is the best. Don’t expect everything to always run on time. You’ll fall into a false sense of security and emergencies and delays will catch you off guard. If you are proactive about transportation issues and prepare for exceptions, this won’t happen to you. Don’t assume it’s the driver’s fault. This is a part of establishing a reliable carrier base. There will be delays caused by the driver, but there are just as many delays that the driver can’t prevent. A good freight tracking system will give you more visibility into what’s happening in your supply chain. 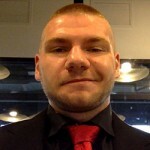 Nick Kuttin was a small business consultant before joining FourKites as Senior Marketing Manager. Nick is responsible for developing and implementing international marketing strategies to reach all sizes of shipping companies. FourKites is reinventing the complex and labor intensive communication systems in the Logistics and Transportation Industry by providing a cost-effective, real-time and easy-to-use cloud based software solution.